How Do BBQ Grill Gloves Work? Whether cooking in the kitchen, outside on the grill, or even deeper into the great outdoors such as camping, heat is involved. Maneuvering around these high temperatures like hot pans, sizzling skillets or boiling water can be tedious. With grill gloves – full-finger, heat resistant gloves that typically extend protection to the wrist – most of that worry is put to rest. Between material, style and sizes, there are many gloves to choose from. 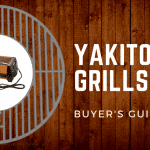 This article will highlight the extent of what a grill glove can do, aspects of a great grill glove and review some of the best options out there. After all, it’s for your protection. When it comes to heat protection, it’s all about the material. Grill gloves are typically made from silicone, a mixture of silicone and fabric, leather, suede, or a synthetic rubber, such as neoprene. These materials can withstand temperatures ranging from 425 degrees Fahrenheit (about 218 degrees Celsius) all the way to a whopping 932 degrees Fahrenheit (500 degrees Celsius)! That’s hot. And they don’t look half-bad either. Though grill gloves have impressive resistance to heat, that doesn’t mean they’re meant to withstand high temperatures for long. Gloves defy heat from anywhere between 10 seconds to over a minute, which leaves plenty of time for you to pick up and move a roast, switch out a hot metal grate or grab a potato out of boiling water. 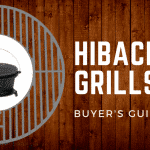 Picking a grill glove that can withstand the most heat may seem like an obvious choice, but there’s more to it than that. When the gloves are on, you’ll want to be able to squeeze tongs, slice with a knife, and unscrew bottles of BBQ sauce and jars of spices. Thus, flexibility and dexterity should be one of your top priorities in a grill glove. Usually, this means going for a glove that has more to it than pure silicone, which proves difficult to move in. Similar to dexterity, comfort in a glove is another must. If you’re spending hours in the sun, on top of the heat from the grill, your fingers are going to need to breathe. Great gloves usually have cotton or some sort of woven fabric that allows air to travel throughout the glove. After all, uncomfortable, hot hands in a grill glove make the glove pretty pointless. How the glove cleans up is another big factor. These gloves are intended for long-time use, but that can be problematic when washing them is a total hassle. It’s best when gloves can either be washed quickly with soap and water or even thrown in the laundry machine. 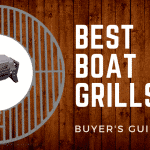 After taking a look at some of the best qualities in a grill glove, it’s clear that there’s a range of options. Let’s move on to actual products out there that both include our great aspects and fit your specific cooking needs. This glove is known for both comfort and effectiveness. Fire-resistant and waterproof, the glove is coated with FDA compliant neoprene. Between enhanced flexibility and durability, these gloves will allow you to work effortlessly with you grill, smoker, or simply in the kitchen. The Pit Glove gives you a wonderful compromise between heat-resistance, dexterity, and friendly clean-up. Keep in mind, however, that the bulky sizing can take away from the flexibility. Overall, this is a great glove for those both new and familiar with grilling, BBQing, using the smoker, or handling hot items in the kitchen. A little more out of your wallet can transfer into a lot more assurance in the heat of cooking. If you’re uncertain about grilling gloves all-together, then why not get a little more out of the whole experience? 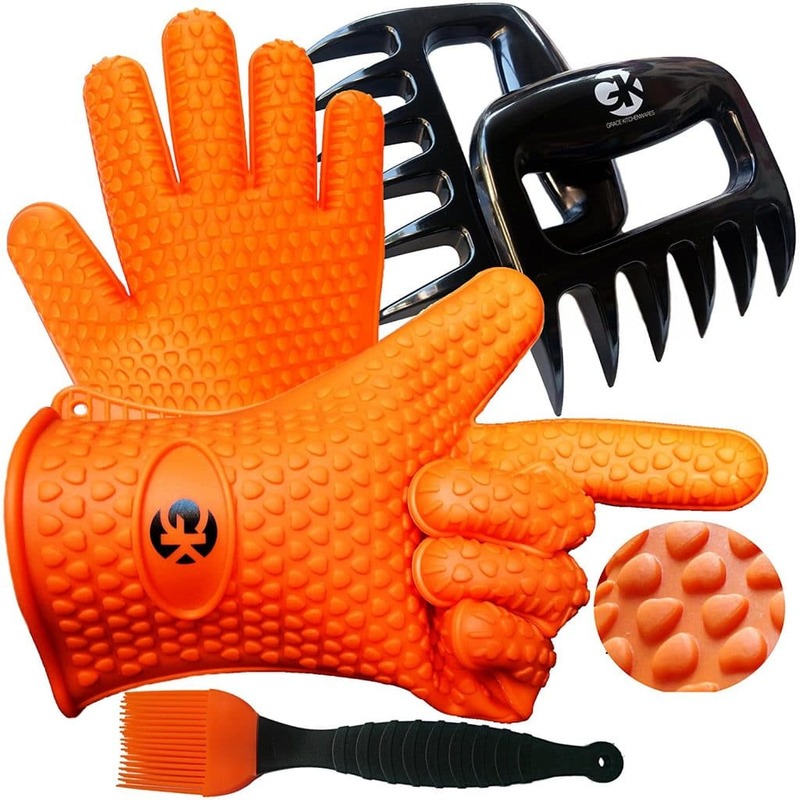 This set not only comes with orange silicone gloves, but also lightweight meat-shredding claws and a silicone heat-resistant basting brush. This set is an inexpensive choice that gives you more bang for your buck. Though these may not be the best options on the market, understand that you’re receiving a little bit of everything that seems to hold up in both professional and home-cooking settings. These gloves take comfort and morph it into functionality. 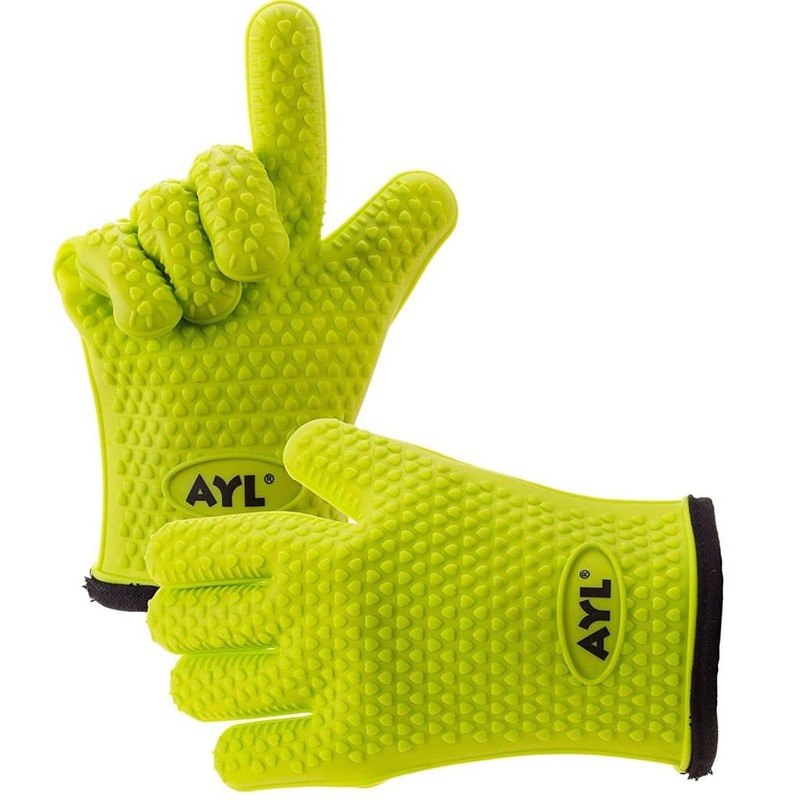 The AYL silicone gloves are dual-layer, meaning they have silicon on the outside and a heat-resistant cotton layer on the inside. With comfort like this, you can confidently handle cookware and foods in temperatures upwards of 400 degrees Fahrenheit. If you can manage the glove’s wide shape, this is a high-quality, inexpensive option for a beginner or experienced cook. With food-grade safe silicone and comfortable cotton, the design of these gloves will satisfy any level of meal preparation around heat. If unsatisfied, don’t forget that you can get your money back. Reaching heat-resistant temperatures of 932 degree Fahrenheit, the gloves mean business. The gloves are entirely made of environmentally friendly material, meaning direct contact with food is no problem. 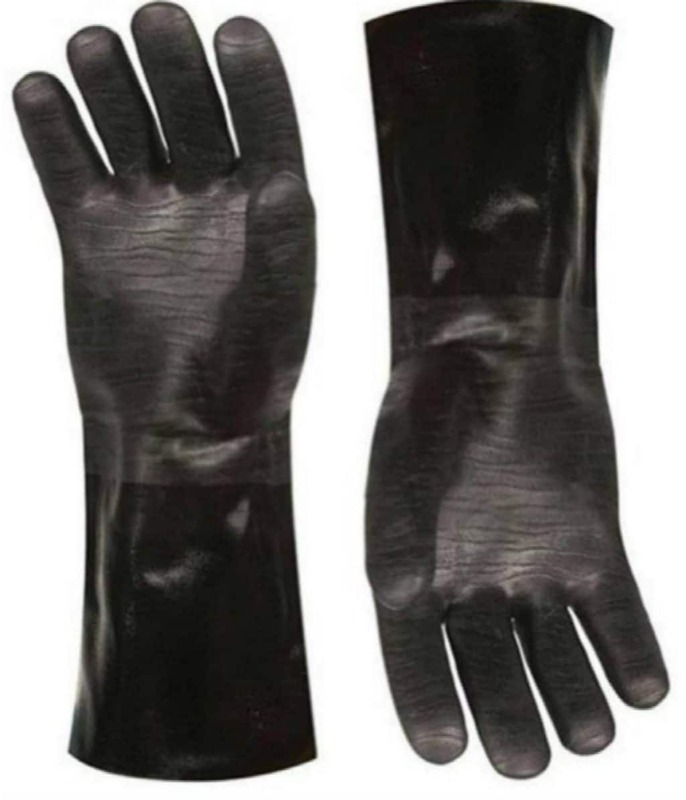 Besides handling food, these gloves are great for hot tasks such as cleaning a grill or releasing steam from appliances. The ISUDA gloves merge comfort, reliability and ease into one product. 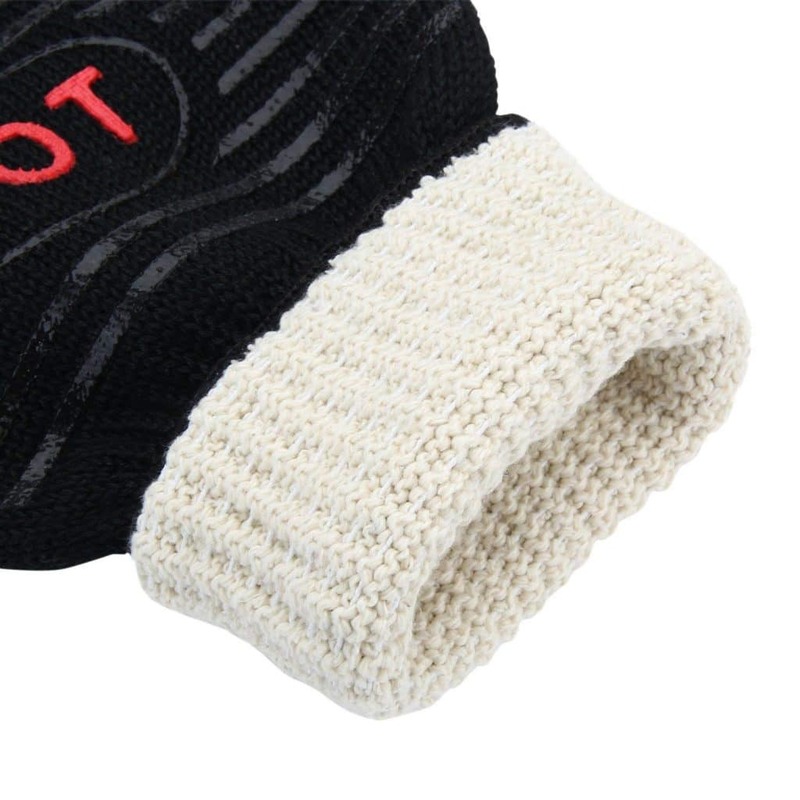 Plus, the free silicone pot holder gives you that option for silicone if you really want it on top of the woven, heat-resistant material of the gloves. Between the two items, nearly any kitchen or grill task is possible in high-temperature situations. These grill gloves, made of insulated silicone that has been reinforced to prevent rips, can withstand heat up to 425 degrees Fahrenheit. 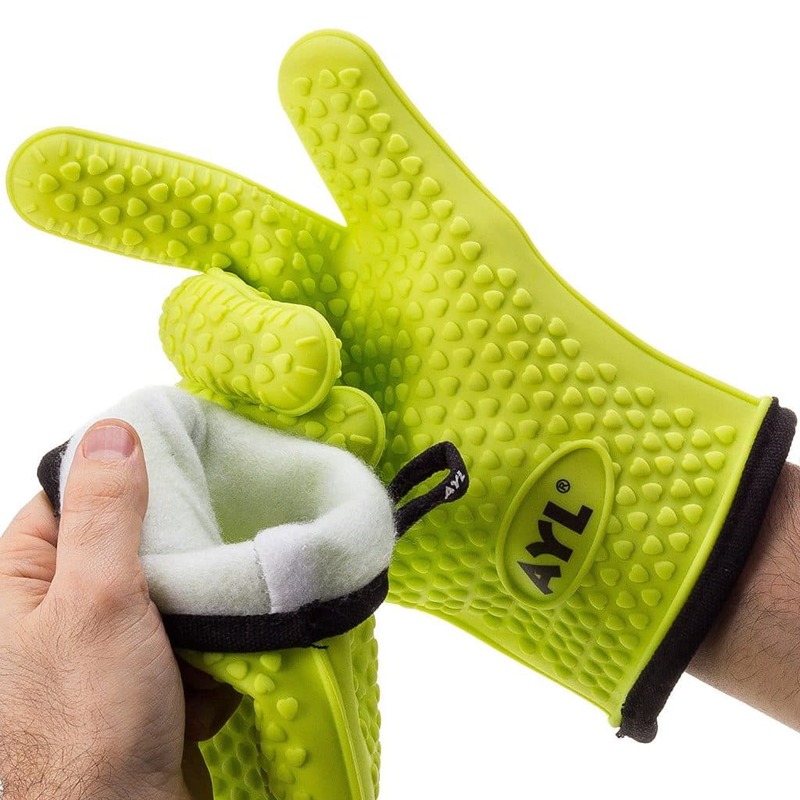 The gloves are waterproof and dishwasher safe, meaning cleaning them is a breeze. And how does the material of silicone impact or leak into your foods? Don’t worry about it, because Ekogrips BBQ Oven Gloves are FDA approved and BPA free. This way you can actually eat everything your handling with confidence. When surrounded by hot temperatures in the kitchen or around a grill, safety from burns is a top priority. 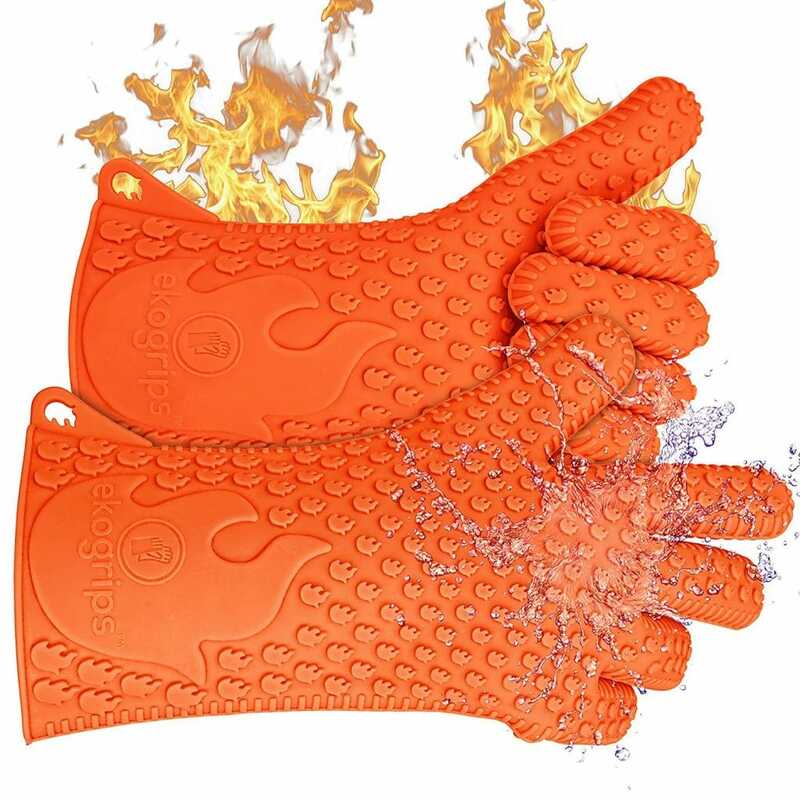 Grill gloves give you the option of being fully involved in your cooking, while staying protected from the heat. 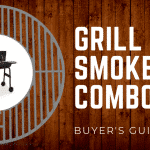 Need to reach deep into your smoker every couple hours? Not a problem. Have to unleash steam by lifting a lid of a hot pot of water? Go ahead. 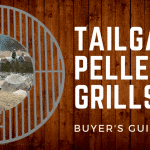 Looking to scrub the crevices of your grill while it’s all warmed up? No worries. Grill gloves are a staple accessory for the more involved chef, whether practicing at a professional or personal level.